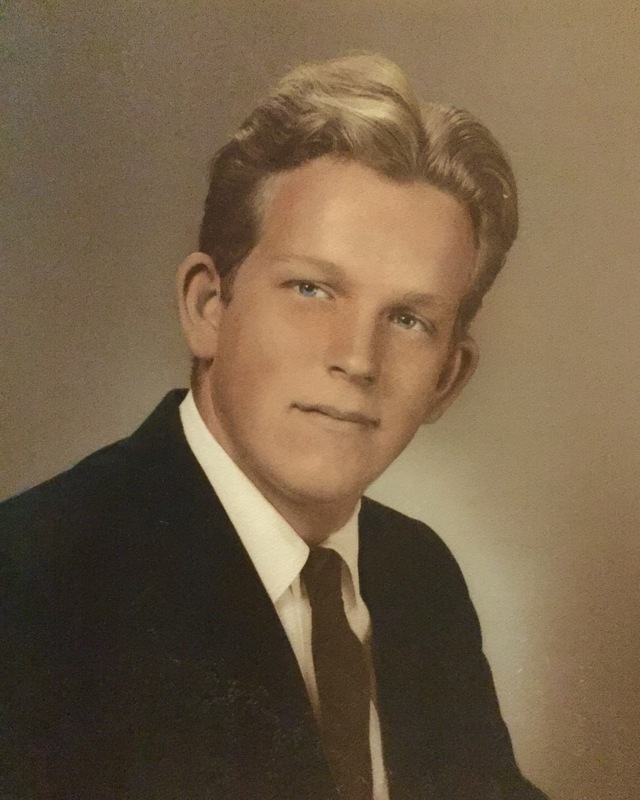 David Leroy McBrayer, age 65, passed away on Saturday, February 6, 2016. He was born on September 13, 1950 to James Leroy McBrayer and Norma (Johnson) McBrayer. He was proud to be born and raised in Arizona, except for a few years he lived in California to meet the love of his life and bring her back to Arizona. He graduated from John F. Kennedy High School in La Palma, California in 1968. He met the love of his life, Pat, at a church young adult conference the beginning of February 1971 and they had their first official date on Valentine’s Day that year. It was love at first sight for Dave and after some persistence, Pat finally agreed to say yes if he formally proposed. Three short months later they were married in Cypress, California on May 29, 1971, and then sealed in the Los Angeles Temple for time and all eternity on July 15, 1972. They were blessed with two children, Todd and Deeanna. They raised their family in Lake Havasu City, Arizona and lived there until 2000 when they relocated back to the Mesa area. Dave worked hard to provide for his family and modeled by his example the importance of caring for others as he and Pat became the primary caregiver of his mom during the last years of her life. For years Dave enjoyed his work as a tour bus driver and an over the road truck driver. His children have fond memories of the time he spent with them. He loved to bake homemade carrot cake for his daughter and talk NASCAR with his son. He never met a stranger and could always strike up a conversation with everyone. He loved going out on drives and sight-seeing. He enjoyed spending time with his wife and his four legged children, Pixie and Max. He faithfully supported his wife as she successfully battled breast cancer last year. He will be deeply missed by all! He was preceded in death by his father, James Leroy McBrayer, and his mother, Norma (Johnson) McBrayer. He is survived by his wife of 44 years, Patricia (Stephens) McBrayer, and his sister Joan (John) Collins and his brother Carl (Patricia) McBrayer, his son, Todd (DeAnna) McBrayer, his daughter, Deeanna (Dustin) Crook, and his 13 grandchildren: Kelsea (Rob) O’Brien, Hannah McBrayer, Amaya Crook, Jarrett McBrayer, Maggie Crook, Damian Crook, Lissy McBrayer, Trey Crook, Lilly McBrayer, Gabrielle McBrayer, Asya McBrayer, Isaiah McBrayer, and Isaac McBrayer. Funeral services will be held on Saturday, February 13, 2016 at 10:30 AM, preceded by a visitation at 9:30 AM, at the LDS Sierra Vista Ward Chapel, 2717 E. Ocotillo Road, Queen Creek, AZ, 85142. Interment will be at San Tan Memorial Gardens, 22425 E. Cloud Road, Queen Creek, AZ. Arrangements by Bunker’s Garden Chapel. It was my privilege to live in Lake Havasu in the early 80’s and enjoy the sweet spirits of Dave and Patty! They were such a positive influence on our Ward. Patty served in the Primary Pres’y whilst I was Bishop and later in the stake Primary Presidency. She provided great leadership. Dave was always willing to serve in any calling or capacity! It is so wonderful to see the great family they’ve raised. Eternity is such a short time away and this wonderful family will be reunited to their husband and father who is now preparing the way for their return! Our prayers and love extend to Patty and the family! May God bless! I loved his warmth, friendliness, and laugh! I hope the memories of his goodness and love for his family will comfort you until you are reunited. Oh how I loved Dave’s infectious laugh!!! What fond memories we have of old times! We are so thankful for the truths of the Gospel and the knowledge we have that Dave has entered a new chapter in his life, and that his parting will be but a brief moment in the scheme of eternity. May you all be comforted in this knowledge. We Love you!